I was born in RachGia. I moved to Saigon in 1979 with my family. I escaped Vietnam on October 24 1982 with an older brother and we arrived at Indonesia. Looking back now I think we were very fortunate to make it to Indonesia alive. We were jammed in a 10 meters boat with 66 other people. We spent 5 days and 6 long nights at sea without any food. All we had was a few cups of mud-water a day. We were very fortunate to reach Indonesia island. After paying the local people some golds they took us to Galang Refugee Camp. I spent 14 months in Galang refugee camp in Indonesia. It was quite an experience I had there and I could write a book just to talk about that. Lots of good memories still remain. I arrived in Philadelphia, PA on Jan 20 1984. I spent a year and a half in Cooke Jr. High then move on to Olney High in my sophmore year. I spent 3 years at Olney High and accomplished many things. I graduated 6TH in a class of more than 600 students. I received many awards, academics and atlethics. I also got many scholarships that helped me with the tuition for Drexel University where I attended for my undergraduate degree. I wrestled for 3 years at Olney, the 1st year I was 2nd in the city at 98 pounds. The 2nd year I was 2nd again but on my 3rd year, I won the Public League champion at 105 pounds in the city of Philadelphila. I also won the MVP award for an outstanding wrestler and I was the first wrestler in the school history to win this award. After my high school graduation I was fortunate that my achievements got the attentions of NBC and the local newspaper thru my English teacher. To make the long story short, I appeared on the front page of the Philadelphia's Inquirer and also on the NBC's Today Show. The show was aired in the summer of 1988. After this I was on the TV's local news numerous times. Everytime there was a major event the TV crew would follow me around. On my first day of college's life they were there. When I got my US citizenship they were there. When I graduated from college they were there and when I reunited with my family they were there at the airport. 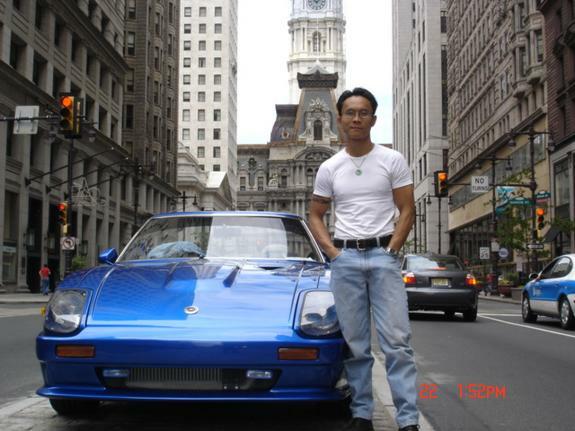 I went to Drexel University for a 5 years under graduate degree. My major was Electrical Engineer. I graduated and got a job offer from Lockheed shortly after that. Also my family was reunited with me after graduation in the summer of 1993. I also met my now wife at Drexel University and we got married in 1995 and have 2 beautiful childrens, a boy and a girl Jonathan and Valerie. My journey doesn't end here but I will stop here for now. Hope you gain some valuable information by checking out my homepage. You can see I am not good at building the home page but hopefully the information is easy to understand.